Dr Aditi Agarwal is one of the best experienced dentist in Kandivali East, she did her bachelor's in dental surgery from a reputed institute in India. Dr Aditi Agarwal did her specialization in cosmetic dentistry from New York University U.S.A. After this she has undergone special training in Orthodontics to incorporate every finest aspect of cosmetic dentistry in her practice. She has also done certification in kids dentistry (pedodontia) under leading pedodontist DR.MEENAKSHI KHER from Mumbai. 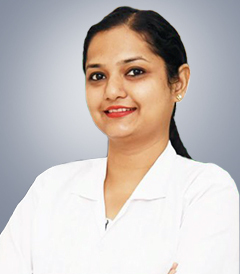 Dr Aditi has always believed that her treatment must be suitable for the patients and spends lot of time in understanding each patients need and concerns she went through intensive training under various private practitioners and expert for 3 years besides her education to gain maximum practical knowledge. Her thirst for knowledge is still not over as she routinely keeps on attending national and international conferences to keep herself updated, creating beautiful smile is her passion. She has pledged to deliver best of her talent so that she can benefit her patients to the utmost.